Waterproof, pre-taped plastic paint masking system features treated, lint-free masking film with 1.25-in. automotive-grade pre-taped edge. 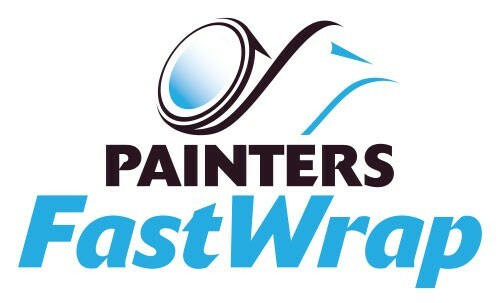 Waterproof, pre-taped plastic paint masking system features treated, lint-free masking film with 1.25-in. automotive-grade pre-taped edge. Treated film clings to surface so it stays where you place it, making masking vehicles fast and easy. Film is solvent and paint-stripper resistant, safe to leave in place during bake cycles up to 230°F (110°C), and can be left in place for wet sanding.